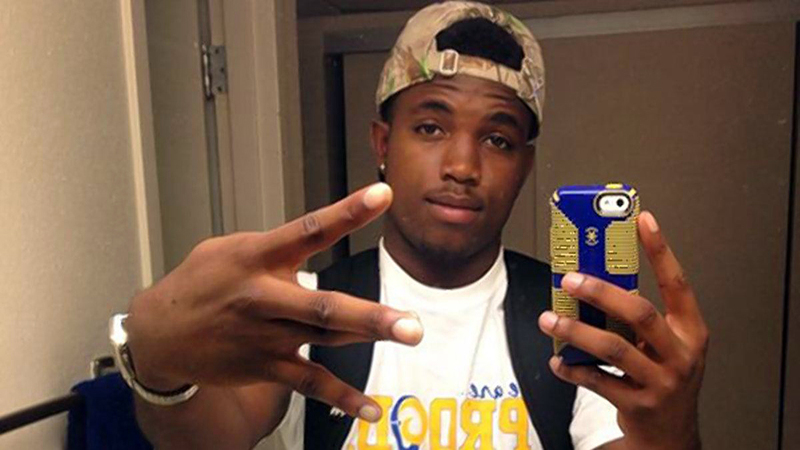 Sophomore football player Christian Taylor of Angelo State University was shot and killed by a 49-year-old police trainee on Friday morning in Arlington, TX. The Associated Press reported police responded to a burglary call after someone drove a sport utility vehicle through the dealership showroom’s glass doors. After finding Taylor inside the Classic Buick GMC, he was approached, an “altercation” ensued and 19-year-old Christian Taylor was fatally shot by officer Brad Miller. According to Sgt. and police spokesman Paul Rodriguez, Taylor was unarmed. Taylor’s death comes almost a year to the day 18-year-old Michael Brown was shot and killed by a police officer in Ferguson, Mo., sparking global riots and heated debates about the state of race and policing in America.